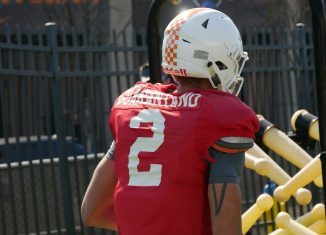 Redshirt freshman Jarrett Guarantano is starting to add some pressure to junior Quinten Dormady in the Vols' quarterback battle. 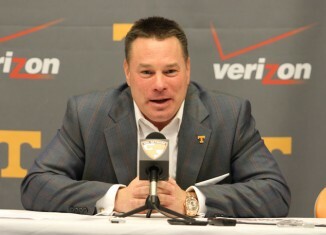 Butch Jones spoke to the media during a press conference on Sunday and stated that the 2017 Vols will need several young players to contribute this year. 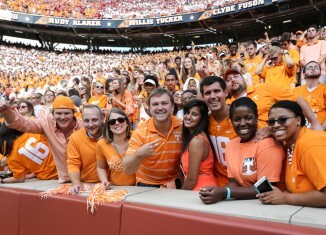 A Vol fan left a special message to Alabama fans on the sidewalk outside of Bryant-Denny Stadium on Saturday.